Anshu Prakash's allegation he was been assaulted by ruling party lawmakers has already pitted city government's officials against the AAP government. 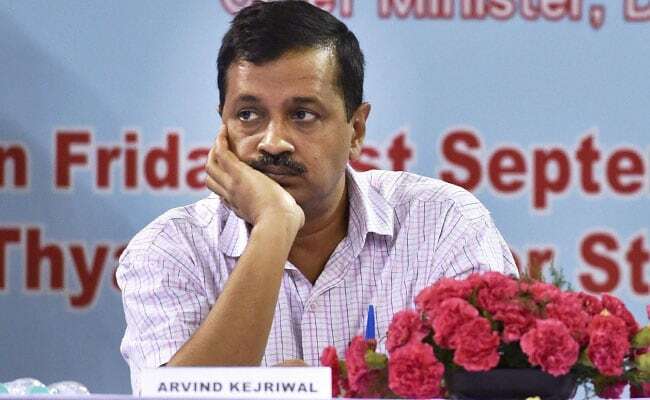 Officials have declared that they will not attend any meeting called by AAP ministers till Arvind Kejriwal apologises. In developments that could spell more trouble for the Aam Aadmi Party in Delhi, Chief Minister Arvind Kejriwal's key aide VK Jain is reported to have told a city court on Thursday that he had seen ruling party lawmakers assault Chief Secretary Anshu Prakash at Monday's midnight meeting at Mr Kejriwal's house. Mr Prakash's allegation that he was been assaulted by ruling party lawmakers has already pitted city government's officials against the AAP government. Officials have declared that they will not attend any meeting called by AAP ministers till Mr Kejriwal apologises. AAP leaders say the bureaucrats, who report to the central government's nominee Lt Governor, were playing into the BJP's hands. Mr Jain, a retired bureaucrat, said he had gone to the washroom during the meeting and when he returned, he saw two lawmakers hitting the Chief Secretary. The statement, recorded before a magistrate, would be admissible as evidence during trial. AAP promptly hit back at the police, claiming that Mr Jain had been coerced to change his earlier statement that the meeting was over by the time he returned from the washroom. Mr Jain's testimony has been cited by the police as a new ground to seek custodial interrogation of Amanatullah Khan and Prakash Jarwal, the two lawmakers arrested earlier for the assault. The judge has once rejected this demand from the police which is looking for evidence to back up Anshu Prakash's allegations that the assault was pre-meditated and "in conspiracy of all present". It is expected to deliver its verdict on the request today afternoon. The Chief Secretary hadn't specified Arvind Kejriwal and his deputy Manish Sisodia's role in his police complaint but implied that the two ministers were among those who had engineered the assault. In court on Thursday, Chief Secretary's lawyer Rajeev Mohan alleged the chief minister and his deputy were part of the conspiracy. Mr Mohan said the chief minister's continued silence implied that this was a conspiracy. "I was called for the meeting so that they assault me," Mr Mohan told the court, speaking on behalf of Anshu Prakash. Pointing to what the AAP describes as the over-enthusiasm of the police to please their political bosses, AAP leader Ashutosh also targeted Lt Governor Anil Baijal, calling him an "agent of the BJP" for not acting on a complaint of attack on Delhi minister Imran Hussain and Delhi Dialogue Commission vice-chairman Ashish Khetan, despite them providing the video evidence. AAP's Sanjay Singh alleged Mr Jain was picked up by the Delhi Police this morning and was pressured to change his statement. "How is it that the same Mr Jain who emphatically said yesterday that he witnessed no assault during the entire time that he was present there, has now claimed otherwise?" he asked, according to news agency Press Trust of India.